This is a versatile alternative to wearing a backpack – however, it can easily be converted into one, thanks to hidden shoulder straps. What’s more there are multiple Velcro fasteners and rings, which means it can be secured to my 2017 Yamaha MT-09 in more than one position. I can also keep everything neatly organised on the move, thanks to interior compartments, which split into two sections. The upper section is separated with a zipped mesh and this is accessible from outside the bag, meaning I can get to important items, like my purse and phone, with minimal fuss. 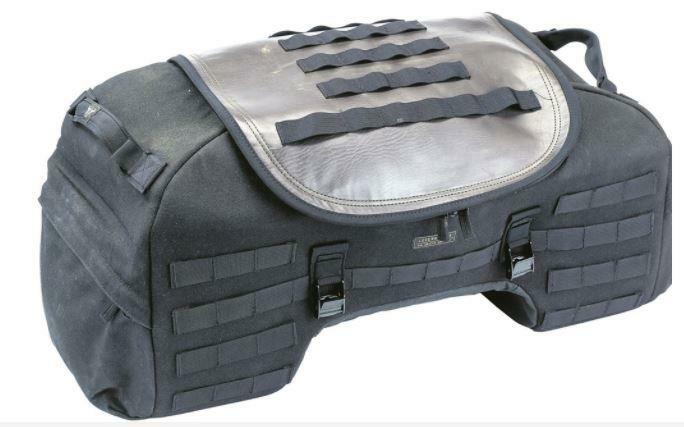 There is also a fastening point on the top of the bag to attach smaller Givi bags to. And what’s not good about the Givi? Although it comes with a rain cover, it would be a lot easier if it was completely waterproof. There is no quick release system when taking it off either and securing it can be quite tricky, as it attaches to the pillion seat/cowl via Velcro straps. This means the pillion seat must be removed every time you want to attach or remove the bag. My MT-09’s single rider-pillion seat unit makes this process even more of a pain, too. While Maria loves here Givi tail bag, what does Simon think about his SW Motech version? 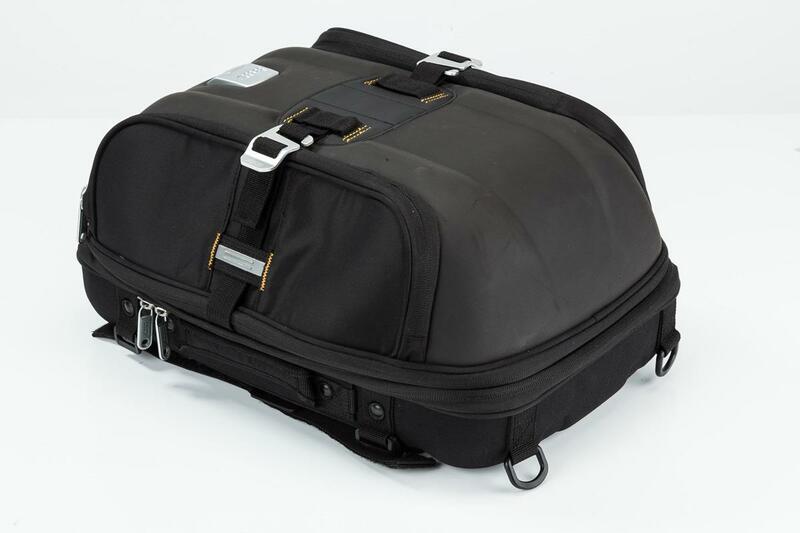 Our Designer, Simon Relph, has had fun testing his SW Motech motorcycle bag and here are his thoughts.